In a study published in Diabetes Care, the team found that their new risk score, the T1DGRS2, which uses detailed analysis of key regions of the genome, was nearly twice as efficient at identifying babies at high risk of type 1 diabetes as existing methods, which use more simplistic measures. 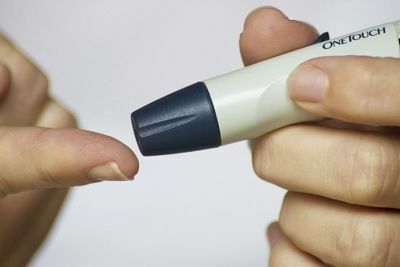 Senior author Dr Richard Oram said: "Prediction of what diseases we might get in the future is an important area, and type 1 diabetes has a strong genetic element that we are now able to measure very well. 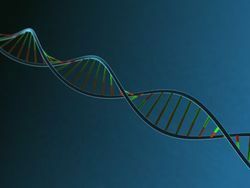 Measurement of the tye 1 diabetes genetic risk score could help predict who will develop the condition from early life could help with research into potential early life interventions, and with classifying diabetes correctly at diagnosis." To develop the test, the team analysed genetic variation and gene interactions across the entire genome in 6,581 people with type 1 diabetes in the Type 1 Diabetes Genetics Consortium. They compared this to 9,247 control participants. This helped them incorporate all known and recently-discovered genetic elements that can indicate type 1 diabetes. They then conducted simulations to see how their test compared to current genetic methods of diagnosis and screening. Type 1 diabetes develops when the body's own immune system attacks insulin-producing beta cells in the pancreas. The immune attack usually begins several years before the symptoms of Type 1 diabetes appear. Being able to identify who's will develop Type 1 diabetes before its onset could help parents and doctors identify the condition before it becomes severe, and help the development of effective treatments to prevent type 1 diabetes. 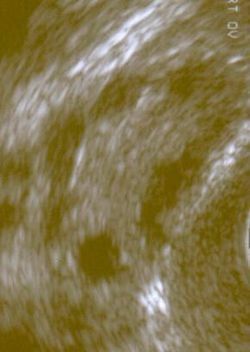 Current methods of early diagnosis involve measuring of islet autoantibodies -- proteins in the blood indicating beta cell destruction. However, monitoring autoantibodies is expensive and dif?cult in young children. Co-author Dr William Hagopian, from the Pacific Northwest Research Institute in Seattle, said: "Gathering all this genetic information together allows the test to perform better. This makes prediction of type 1 diabetes among all children much more affordable in public health settings. Parents can be warned to watch for early symptoms to avoid hospitalisation for life-threatening complications. Kids with the greatest future risk can get access to research trials to develop ways to delay or prevent progression to clinical diabetes." Anna Morris, Assistant Director of Research Strategy and Partnership at Diabetes UK, said: "It's exciting to see the power of genetics being harnessed to help predict who might develop Type 1 diabetes in the future, particularly from a young age. If successful, this approach could help to reduce someone's risk of being misdiagnosed or developing complications during diagnosis. 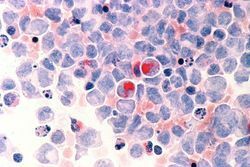 "In the future, this research could also open up new insights into what could be done to stop Type 1 diabetes from progressing."